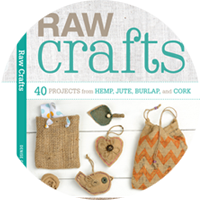 The best part of crafting and Crafternoons is partnering with kewl peeps. And meeting new crafty BFFs. 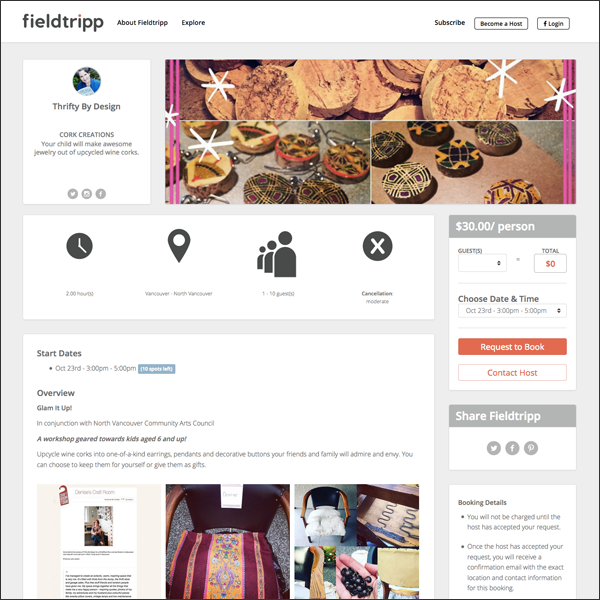 So it's always nice to work with local organizations making crafty, upcycling magic happen. 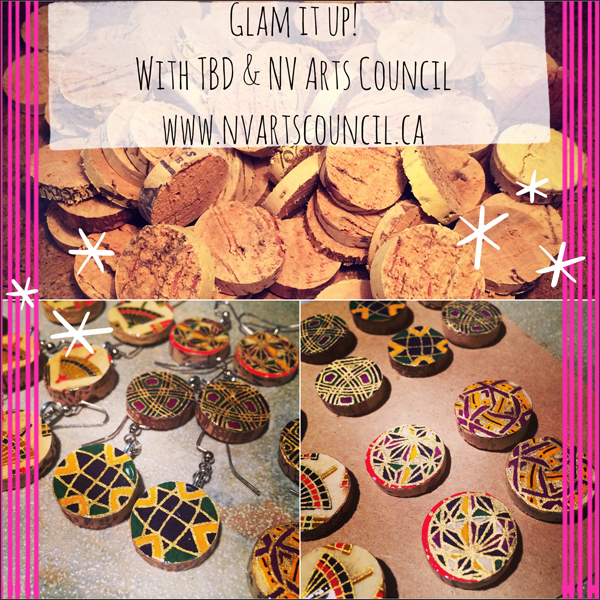 Recently I was asked by the North Vancouver Community Arts Council to be part of a new series called Glam it up! Glam it up! is a series of classes geared towards kids aged 6 and up. 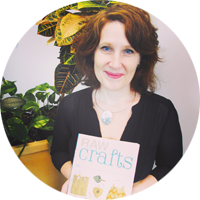 The classes take place on Sundays starting October 16th to November 6th from 3pm to 5pm at Maplewood House (399 Seymour River Place, North Vancouver). You can sign up for one class at $30 or all four for $100. 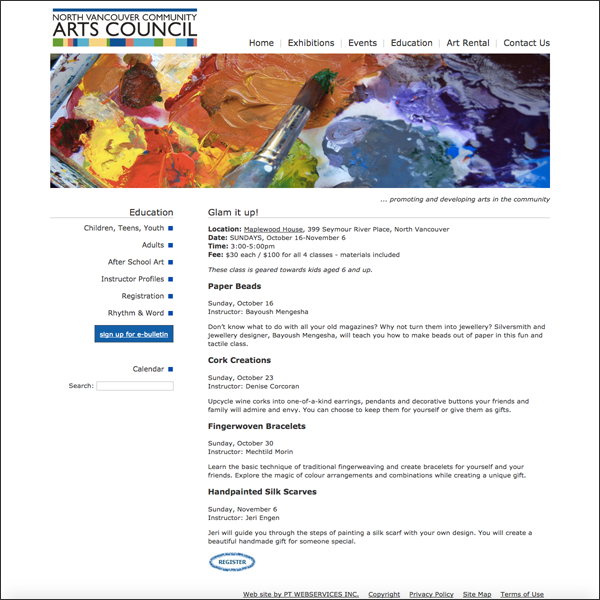 Visit the North Vancouver Community Arts Council website for the full listing of classes and for info on registering. 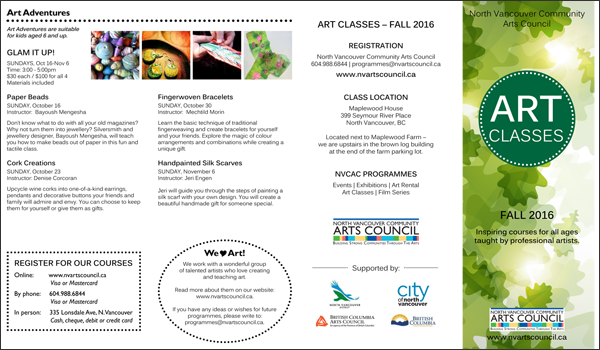 Or download the Fall 2016 Art Classes brochure at www.nvartscouncil.ca. You can even find my Cork Creations class on Fieldtripp at www.fieldtripp.com/events/cork-creations. Big thanks to North Vancouver Community Arts Council for the opportunity to craft with them again. I love my community partners!